Set of two Rock Bakehouse tea towels; Traditional Chocolate Yule Log and Victoria Sponge recipes with variations. (natural cotton version). 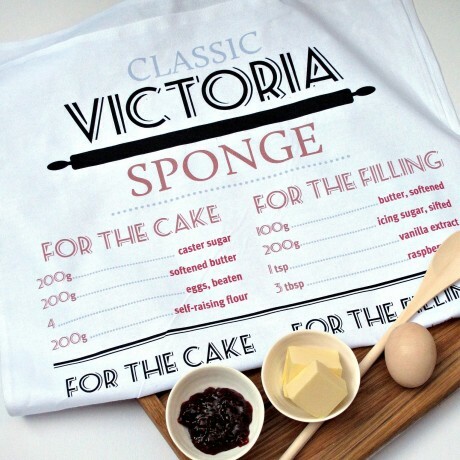 Very useful tea towels made in the UK on high quality cotton which wash and dry very well. Tea towels are a necessity in the kitchen so why not have attractive but useful towels that can help you out in the kitchen. 100% cotton and designed and printed in the UK exclusively by Rock Bakehouse. 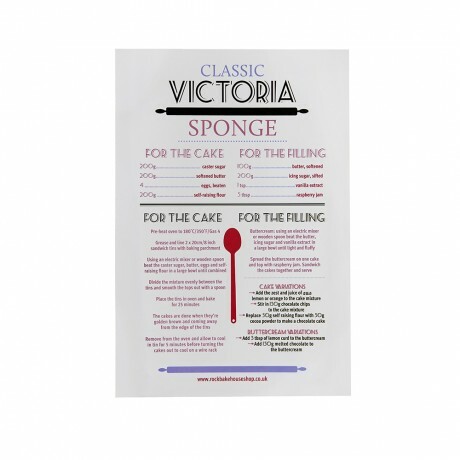 Tea towel dimensions: 80cm x 44cm / 31in x 17in. Cleaning instructions: Machine wash warm water and tumble dry low. This product is dispatched by Rock Bakehouse. This item has a shipping weight of 200g.